Founded in 1998 and headquartered in Allen, Texas, Forte Payment Systems is a leading provider of innovative electronic payment solutions. With over 32,000 satisfied merchants and extensive experience in the government, property management, and utility sectors, Forte helps organizations of all sizes manage and perfect their payment operations. 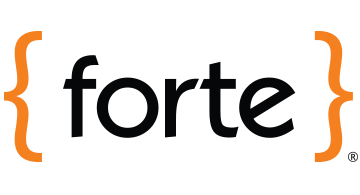 Forte offers a broad range of turnkey solutions for collecting and sending payments electronically, as well as comprehensive and modern APIs, which allow developers to build out additional capabilities. Committed to providing best-in-class support, Forte maintains a seasoned team of in-house support professionals that are only one phone call away.